Notebooking has been an integral part of our history studies from the very beginning. For week 4 of the Virtual Curriculum Fair, I’m going to share with you how you can incorporate this simple method into your homeschool and reap big learning rewards. 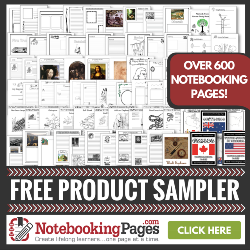 While our family mainly uses it for social studies, notebooking can be used for any subject. We have 20 homeschool bloggers participating this week. You can find their articles linked at the bottom of this post. Note: This post may contain affiliate links. Your purchase through an affiliate link helps to support Homeschooling hearts & Minds. Way back when I first researched how I wanted to homeschool our children, I came across Cindy Rushton and her method of notebooking. Cindy’s passion for learning in a non-schoolish way was infectious and the idea of simply creating pages in a binder to record, review, and remember what we learned was so simple, elegant, and logical. We started notebooking with my oldest son (who was about 7 at the time) by having him draw pictures of what he had learned. Then he would tell me about it, and I would scribe for him, adding the written details beneath his pictures. Each page went into a page protector in a binder and was later joined by more pages and lapbooks. Years later, we still pull out and look back at some of his early notebooks and lapbooks. Over time, the physical writing became more and more his. As a high schooler, he still writes summaries as he studies history and adds them to a binder. While not as colorful as his elementary work, it is still uniquely his notebook. Over time, our notebooking has evolved, just as our homeschool has evolved. I’m currently homeschooling 4 children (ages 7, 11, 13, and 16) and all of them use notebooking in some way. We tend to use this method mostly for social studies as history and geography seem to naturally lend themselves to this method. It’s so easy to add maps, timelines, and pictures of projects to complete the notebook. Maybe you are wondering, what is this thing called notebooking? And how, for instance, is it different from lapbooking? Bear with me a bit. Like time, notebooking is a bit of a wibbly-wobbly thing. The term means different things to different people and it’s implementation will look different depending upon the needs of those using it. It is a malleable tool that can be changed to fit your individual circumstances and the supplies used for it can be anywhere from nearly free to a bit spendy. Because picture are sometimes worth more than words, I’m including lots of pictures in this post. In it’s simplest form, the notebook is a way of recording what you learn in your homeschool, but there is really more going on than that. When I say to one of my children, “why don’t you create a notebook page about x,” he or she will take out a blank sheet of paper, screw up his/her eyes and think a bit. Then the words and pictures flow onto the page and the result is added to a page protector in the child’s 3-ring binder. We use a lot of living books, literature, and hands-on projects in our homeschool. As our state requires that we have an annual portfolio review for home educators, notebooking is an easy way to create that portfolio. The toughest part at the end of the year is often deciding what to actually include in the binder the county’s homeschool monitor will see, because full 6” thick binders are a bit too much. But more than recording what we have studied, creating a notebook page gives the child practice in thinking about, remembering, and synthesizing what he has learned. He practices summarizing by choosing what include and what to leave out. By middle school, my children are writing what are essentially little expository reports, including diagrams and illustrations when appropriate. As they write and draw, they cement these things into their memories. It becomes an active, rather than a passive activity, and we know from current studies on the brain that using multiple modes of input helps to strengthen neural connections. Later, they can flip back through their notebook and remember those previous lessons, and each time they do that they further strengthen that knowledge. At the same time, flipping through their notebooks helps them to draw connections between various topics and points of history that might otherwise seem unrelated. Think about how enlightening it can be to see various historical events that are in close temporal and/or geographical proximity on a timeline or a map. The notebook can help to bring it all together. Additionally, notebooking is an easy way to practice handwriting, grammar, and spelling across your curriculum. It just keeps getting better and better---No need to buy multiple workbooks/programs to practice these language arts skills? Sign me up! I think you can see that this one, simple activity can give you a lot of bang for your educational buck, by saving time and even money. Notebooking works for us because it is flexible and it allows us to get the most out of our work. There are no two homeschools that look alike and there are no two notebooks that look alike. Not only do families vary in how they implement this method, but the children vary in how they create their notebooks. For young kids, we do a lot of oral narration, drawing, and coloring pages, but I don’t have them do much physical writing other than handwriting and spelling practice. It takes time for their hands and heads to mature to the level of getting their thoughts onto paper without frustration overload. Instead, they write all they want in their spare time (a couple of my children were avid story writers, even from an early age), but when they want to set something down on paper for school, I often scribe for them. So, for grades K-2ish, “a notebooking page” might be nothing more than a coloring page that the child has colored or a drawing they have drawn, with a couple lines at the bottom that I have written as they dictate to me. Or, if she wants to dictate a longer narration, I will sometimes type up that narration, print it out, and then ask her to add an illustration. Or sometimes we will add a labeling activity or a lapbook element. Around 3rd grade or so, my kids are gaining more writing stamina and are begin taking ownership of their writing. I might have them add some printed pictures to their notebooks and have them write details on their own. We will discuss a topic and then I’ll ask them to write something about it. 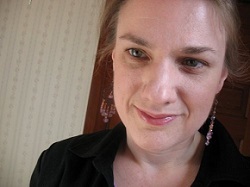 Writing at this stage is usually minimal (unless the child wants to do more). Around about 5th grade or so (and this will vary by the child, you will know, some will be ready earlier or later), I have them start making their own notebook pages. You can use a blank sheet of paper, lined paper, a printed notebooking page (more on these different types in a bit), whatever works best for you and your child. Remember, he has been doing a few years of oral narrations already, with me copying down bits of them. He already knows how to summarize things. He has already been drawing illustrations or coloring pictures to go with his summaries. Now he just putting together those things he has been practicing. For high school, I don’t assign notebooking, but my oldest uses what he has learned to create his own “book” of his studies. If there are questions he needs to answer as part of his curriculum, he will incorporate them into his notebook, but otherwise his pages are a collection of things he wants to remember. Notebooking makes it easy for him to revisit material at a later date. He decides what to write about and how much to write (this is outside of any specific written assignments I give him). We don’t notebook everything, not even every history topic we study in a week. I “assign” 1-2 notebook pages per week. My children are always free to notebook more than that, but I’ve found that often less is more. You can’t notebook all the things, because it ends up being too much and the emphasis gets placed upon getting it done, rather than enjoying learning. When they only have 1 page to do, they spend their time on it and get more out of it. Why do I leave it so open-ended? Because notebooking isn’t a fill-in-the-blanks activity. It’s an opportunity for your student to show what she knows, to share what she finds interesting, and to remember what she would like to remember. This is her notebook and she is creating it. I used to worry about doing this. What if they didn’t remember the important stuff? Here’s the thing---they will never remember it all. But time and again, my kids amaze me with their knowledge. Even though I’m the one teaching them (supposedly), their knowledge surpasses mine in history. It takes time to get there, but they do get there. What do you need to make a history notebook? There are a wide range of materials that you can use for notebooking and we have used many different types ones. First, you will need writing and drawing implements (pencils, pens, colored pencils, crayons, paints, etc) and perhaps scissors, glue sticks and double stick tape. There are various advantages and disadvantages to using a binder or using a sketchbook and we have used both. Binders can have pages easily added and rearranged, can be used for multiple subjects, and can have dividers and page protectors added. A view binder can have a custom cover page and spine added. But they can also pop open, can be harder to store on a shelf, rings can fail over time, and they limit your page size. Spiral sketchbooks are contained (pages don’t fall out). The larger page size allows you to have an oversized book and you can glue in things if need be. However, you can’t easily add pages and, depending upon the cover of the book, it may be harder to customize the cover. You also can’t add pre-designed pages to it easily unless you glue them in. Plus with a shelf full of spiral bound books, it can be hard to tell at a glance which is which. If you like to do lapbooks or want to create a notebook/lapbook hybrid, lapbook elements and other extras can be added to both a binder and a sketchbook. A full lapbook can even be added to a binder. We add lapbook elements to our binder notebooks but gluing them to a piece of cardstock, hole-punching it, and add it to the binder. In a sketchbook, those elements can be glued to a page. We have found that spiral sketchbooks worked best for a single subject or study that was self-contained, like the year I did Five in a Row with my two youngest children. But generally we prefer the flexibility of binders. Once you have your based, you can decide if you want to add extras, like pre-designed notebook pages and lapbook elements. Do you need to find/buy/print out tons of pre-designed pages? Is notebooking an expensive ink/hard drive hog? There are lots of great resources out there for notebooking. But people were notebooking, and even lapbooking, long before you could easily find pre-designed pages to buy and print out. I know there has been a huge influx of cute printables over the past few years, but you have my permission to give you kids blank paper! I do it all the time. But sometimes you do want something to get them started, especially if notebooking is brand new. Plus a blank page can be overwhelming for many kids---where do I start, Mom? This is the drawback of an open-ended assignment, right? Predesigned pages often have attractive borders and graphics that give them a finished look, plus spaces to write/draw, and lines to keep the writing straight and even. The fact that the page is broken up into parts can make it easier to get started. I do recommend them if you are just starting out, but they are completely optional. Where do I find printable notebooking pages? You can find many for free and I’ve even been known to design a few and share them here on my blog. One of my other favorite free resources for printable notebooking pages is Practical Pages. If you are studying a particular topic or time period, you may want to purchase a pdf of printable pages for that unit and print them as you go along. Purchased pages can save time hunting around for freebies on the internet and they tend to be inexpensive. One of my favorite paid sources for notebooks is NotebookingPages. I have a lifetime membership to this site, which gives me access to all the available pages at any time, but I got started with a few separate units and was won over by the quality and ease of use. As a member, I can log in and easily search for exactly what I’m looking for. Would you like to try out NotebookingPages? 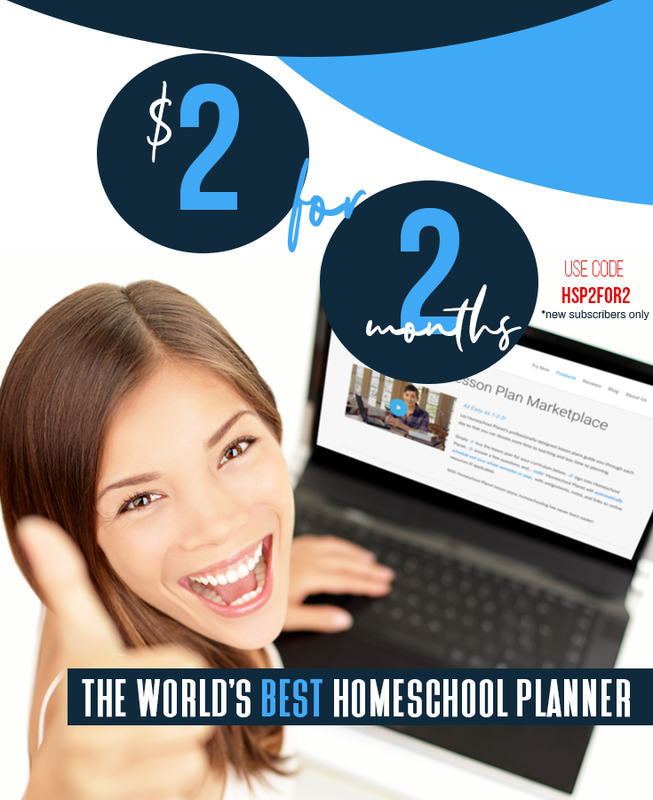 Have you tried notebooking in your homeschool? Please share your experiences in the comments. Would you like to join us? 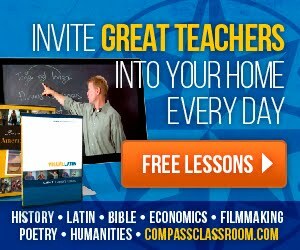 Link up your relevant homeschool posts! Thank you for this guide. Something to mull over as I start to think about next year. We tend to write in exercise books but obviously, these have little flexibility. I encourage you to give them a try. There is something to be said for the compactness of an exercise or composition book---we used them for about a year when I was in a binder hating mood (I have a love/hate relationship with binders). In the end, the flexibility of notebooking of binders won out. I like notebooking. I'm not so good at keeping up them so they have a lot of half started things. That's one of my goals this semester: to just keeping pushing through! "I think I can, I think I can," right? Sometimes it is hard to push forward when the weather is blah and the end of the year is months away. Sometimes it helps to just do the next thing and keep moving forward one step at a time. We have dabbled in notebooking and I like it a lot! I got a lot of new ideas and food for thought here, though. Thanks so much for sharing! We've used notebooking on and off over the years, but it is always something we come back to. Right now in my daughter's high school botany class I require one notebooking page over every "lesson", but the specific topic and even which resource she notebooks from the lesson is her choice. It's intriguing to see what caught her interest each lesson and what she feels was important about it. I know so much more about notebooking now... thank you. We've started dabbling in note booking a little more with our history program this year. It's a good way to keep a "record" of what was learned through living books.